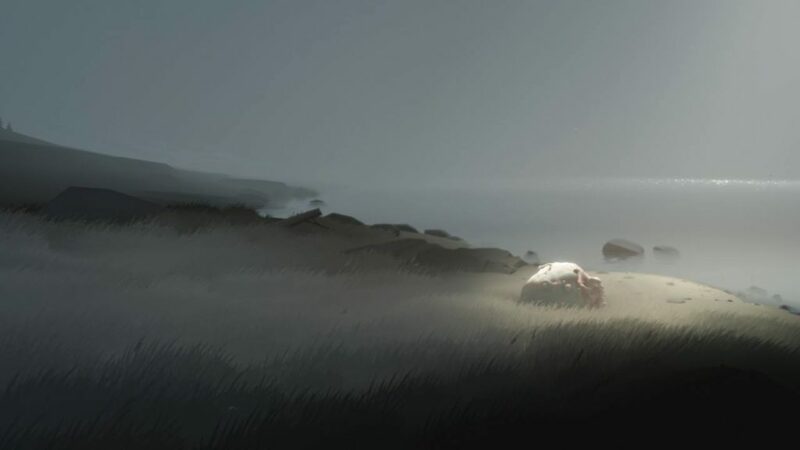 Six years after the release of the sleeper hit Limbo, developer Playdead followed up with another puzzle-platformer involving a boy on the run. At the time of its release, Inside was hailed by many critics as a masterpiece, and one of the best games of 2016. Judging by what I read, I was sure Inside was indeed a great game — I just wasn’t sure about it being a so-called “masterpiece.” I say this because the word masterpiece gets tossed around these days as often as I change my socks. 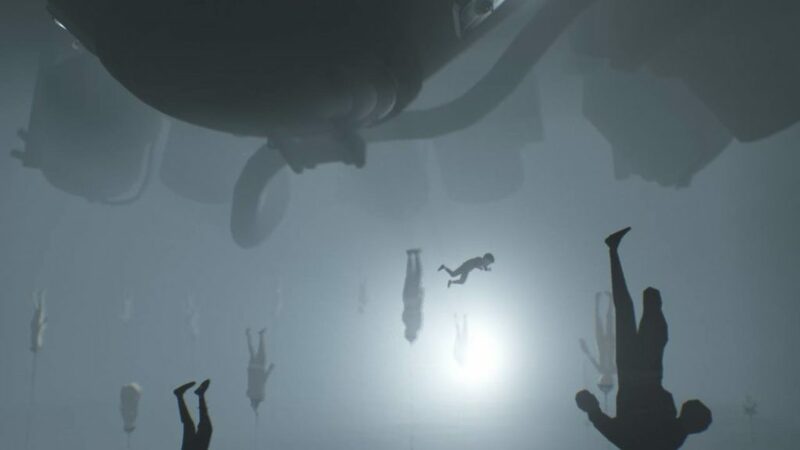 That aside, I finally got around to playing it (thanks to its recent release on the Nintendo Switch), and I have to agree — Inside is a technical marvel, and a game seemingly pieced together from the shared dreams of Franz Kafka and George Orwell. It’s a rare game that transcends a genre, and for a game where not a single word is spoken, Inside has plenty on its mind. On paper, Inside seems like a relatively straightforward game. Like its predecessor, Limbo, Inside is basically a two-button sidescrolling platformer in which the character can run, jump, swim, open doors, pull down levers, push obstacles, lift objects, and not much else. You’ll spend most of the game’s three-hour running time moving left to right, solving puzzles, and hiding from danger. What keeps the player captivated throughout the first two-thirds of the game is its atmosphere. Inside is an undeniable triumph of mood, with a pervasive sense of dread bleeding through every pixel from the opening frame to the last. You’re never sure what will happen next, but we expect it will be something bad. It’s actually astonishing just how much suspense is created in a game that unfolds much like a silent film. There’s danger lurking just about everywhere — around every corner, behind every closed door, in the distance, and even beneath your feet. Inside isn’t your typical platformer, to say the least. It’s dark, disturbing, and surreal. Inside doesn’t offer you any escape. All you can do is run or hide, since the soldiers lurking about don’t take any prisoners. If they catch you, you’ll either be shot, strangled, stabbed to death, or ripped apart by a pack of wild dogs. It actually took me by surprise just how terrifying this game can be. As Matt Bruzzano wrote, “The areas that make use of the background, such as avoiding the soldiers in the opening forest or taking shelter from incoming shockwaves, make for some of the most inspired segments of any platformer I’ve played in years”. This isn’t your typical platformer, to say the least. It’s dark, disturbing, and surreal. Inside is also a story that unfolds in what we assume is the aftermath of a war. Opening in a forest late at night, the game follows an unnamed boy who attempts to infiltrate some sort of government workshop. What begins as something akin to Limbo soon unfolds into an Orwellian dystopian future in which a new government has taken control of all its citizens, put them under some sort of mind control, and stripped them of any individuality. People are numbered drones who shuffle mindlessly like slaves through huge corporate factories. As the nameless boy navigates his way through this dystopia, a new twist is introduced when you learn that the boy also has the ability to take control of the soulless masses who surround him. About midway through the story, a water deity begins to stalk your avatar through the underwater regions, and a good portion of this chapter is spent escaping her deadly grasp. But try as hard as you will, the game doesn’t let you win. Eventually, the underwater sea creature catches up to you, and lo and behold, the boy in question is pulled to the depths of the ocean. He dies, only to be born again with the ability to breathe underwater — an ability he needs in order to finally reach his goal. Who is she and what does this all mean is left for you to decide. 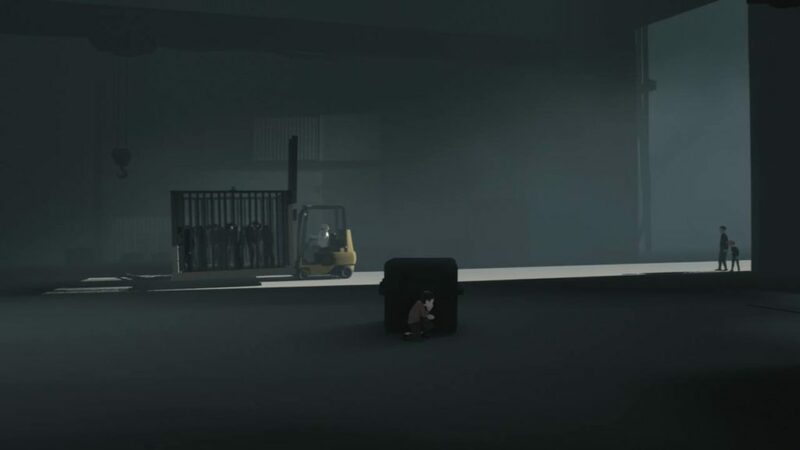 Playdead Studios have not addressed what the game is about, and while there are plenty of theories kicking around, one thing we can all agree on is that Inside is all about control — either losing control, gaining control, or controlling others. And while the title of the game may be Inside, the boy in question is not so much trying to break into the factory, but instead, desperately trying to break his way out. Inside left me with a lot to think about — something very few games do. After making his way through the post-apocalyptic facility, our avatar discovers a twisted, secret government project. It seems they have imprisoned an intelligent life-form that acts as the power source for placing the citizens under mind control. As the boy tries to free the creature, he is pulled into a giant containment chamber that holds it captive. Moments later, the boy loses control, and he and the alien become one giant monstrosity. For the game’s final stretch, our hero uncontrollably smashes through the facility, destroying everything and everyone in his way. When all the damage is done, the now monstrous boy breaks out of the factory (and out of the darkness) by smashing his way through the “prison” walls. Inside concludes with a lingering image of him rolling down a hill onto a grassy field as the sun begins to rise. It’s the only moment of peace to be found in the entire game, as both the boy and the blob have finally broken free. The over-the-top and utterly shocking final act of Inside is arguably the main reason the game garnered so much attention since the last fifteen minutes takes body horror to an extreme level of insanity. It’s something so perversely grotesque, yet so brilliant, that the last act forces the player to try and gain control of a character whom you really can’t quite control. It’s something I’ve never seen featured in a video game and most likely will never see again, as the game pretty much turns upside down, inside out. Because Inside is a game without dialogue, it relies entirely on its visual design to tell its story. The game, for the most part, has an evocative art style defined by muted colors and dark shadows that at times recalls the best of German Expressionist films with its atmospheric lighting, asymmetrical camera angles, and high contrast between dark and light. Among the black and white frames there is little color to be found apart from a splash of yellow here and there to identify fourteen orbs hidden throughout the game, and the color red, which appears on the boy’s shirt (à la Steven Spielberg’s Schindler’s List). The game is simply stunning and blessed with an equally brilliant soundtrack to boot. But what makes Inside a technical masterpiece — and one of the most polished video games ever made — is how it manages to do so much with so little. 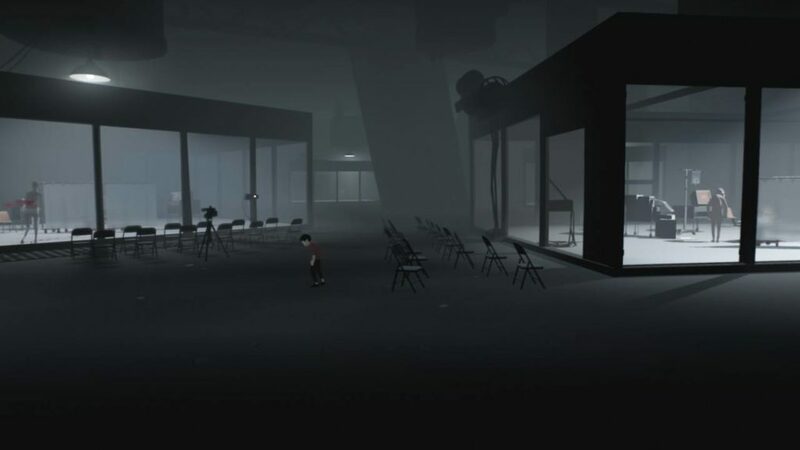 It’s simply amazing how much mileage Playdead gets out of a two hour game with no real script, no dialogue, no boss fights, no real cinematic cutscenes, and no central hook. Inside is a masterclass in minimalism and restraint, and a prime example of how sometimes less is more. It’s also a game that masterfully finds a double meaning in its metaphor thanks to a secret ending that sees the boy unplugging the power to the facility. After doing so, he collapses into the same position as the zombified citizens under the government’s control. Here, Inside is perhaps breaking the fourth wall by implying that this ending is unplugging us, the players, from the game. When you turn off the switch, you are effectively relinquishing control of the boy, therefore ending the journey — perhaps underlining our own unhealthy obsession with video games and technology in general? Whatever the intent, be it a simple meta-commentary or something more, Inside left me with a lot to think about — something very few games do.